I have not seen anyone more determined to breed fish than Ritesh here...never gave up on his fish and the fruits are here for everyone to see!! Congrats and wish you luck.!! 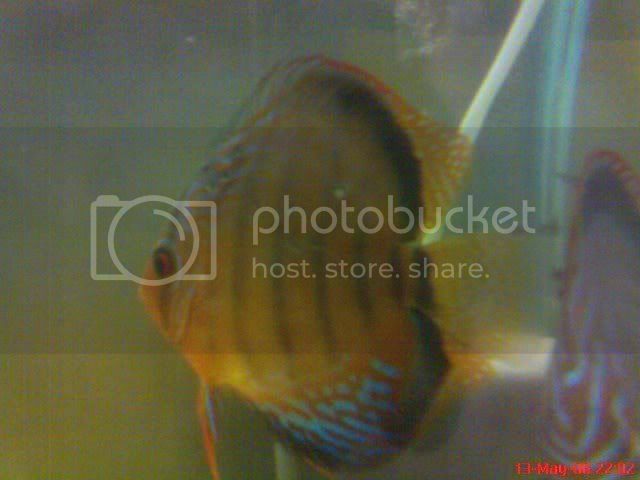 I will be the last person to help someone about discus i have nver kept any before. Hope you are able to raise them to full size!!!!! Congrats Nanu. I think your MOM and DAD can take care of their family for about three weeks on their slime coat and you can assist the MOM and DAD by providing the fry with newly hatched artemia. As for Artemia you better go in for OSI brand. They are pioneers in the artemia eggs. The fries will also feed on the rotifiers on the sponge filter. This is what to my knowledge. Wait for the experts to assist. congrats dude..if i am not wrong then for 21 days the fry will feed off the parents..experts please comment here..
as i know discus fries take their first food from their parent. And hats off to all those who breed these fish as i tried my hand at discus and gave up unable to take care of them. I know it takes a lot of personal attention to grow them and make them breed. Thank you all for those kind words...I really need them. @Hamza: The determination, came just beacuse I wanted more discus but couldn't afford them. Thanks to allow them to expand their family. All the best to raise them to the fullest.The parents seem to be caring enough to raise them.Take care and have a nice day. In Ideal conditions any fish will spawn & you're providing those, good going! 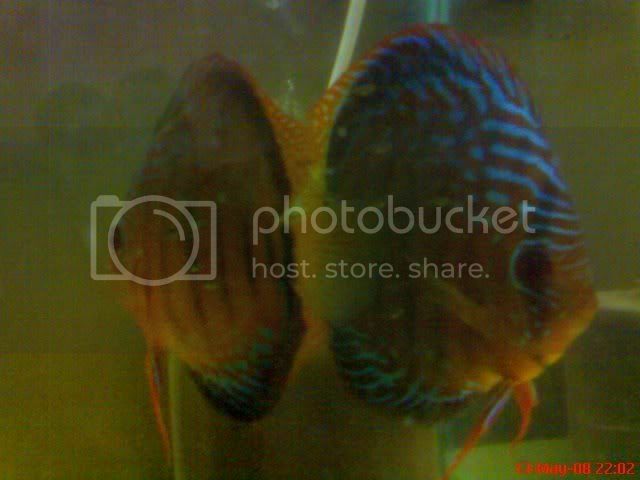 I find discus to be the easiest fish to breed of Chiclids. 21 days can be a lot of work to cater to fry food, WC, filtration, etc. & the parents do it all. You only continue doing what you were all this while & don't make changes to the environment; temp may be increased to 29C. 21 days & then you are ready to go with BHM, Frozen live food or even Crushed Tetra Bits. - No sudden movement around the Aquarium. - Sudden bright lights, itâ€™s best to have a Zero lamp (15W) burning through out. - When doing WC, they can get aggressive to any object (pipes / tubes) entering the Aquarium. Try to keep a fixed hose on. - During WC itâ€™s not necessary to siphon the entire bottom; an air driven sponge filter should take care of floating particulate matter. Don't worry; you'll have a lot of them surviving. 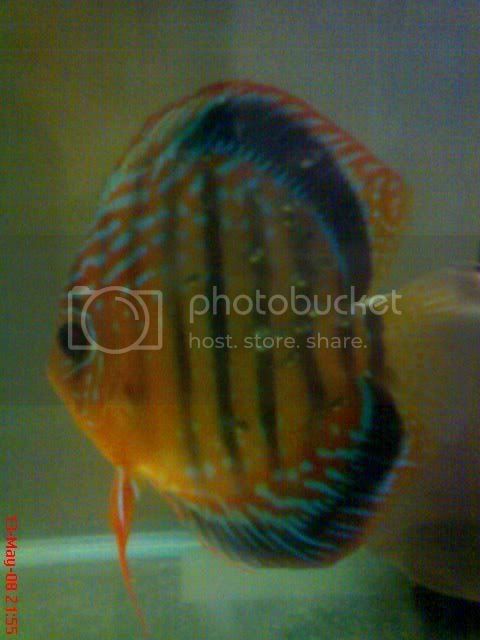 Congrates for your success in breeding discus . 10 days old fries : Currently they may be pricking the parents slim for food . Have you started feeding the fries with freshly hatched Brine Shrimp . Normally you need to start this on day 4 or 5 of free swimming . initially you need to feed in small qty , and gradually you can increase the no of feeding . try to do atleast 25% WC to maintain the good water condition , which will be good for the parents as well as to the fries . Seperation of fries from parents : you can seperate them after 15 - 20 days or when they start accepting the beef heart . removing them soon or latter will depends on whether the parents can take them or if you see that the parents are trying to avoid the fries . Some times when you have biger batch of fries pricking the parents slim - the female sometimes may succumb to infection .So you need to be careful here , if paremts are nursing the bigger batch of fries . You can seperate the fries from the parents or parents from the fries . From 3 week to 10 week you can feed them 5 to 6 times a day with brine shrimp & animal heart . don't over feed Animal heart . Try to do daily and Maximum WC to get optimum growth of fries . keep us posted on the development . 1. )I have read in Jack Wattleys' book about a egg yolk and spirulina for the fry while artificially raising them, any experience with that? 2. )Can they survive solely on the parents slime for till they take BHM or crushed flakes, in about 20 days of age...?